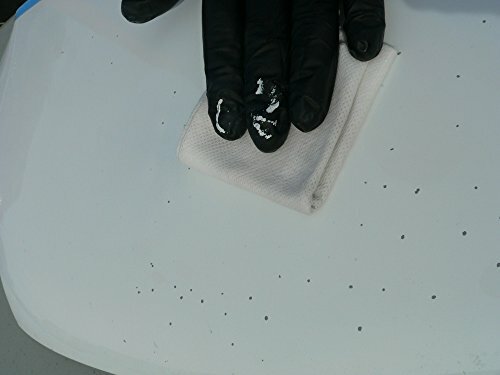 The most common imperfections usually have on Car's Paint Surface, and how we able to identify what has occurred and how to surmount the imperfections? How many Imperfections usually happen with Car’s Paint Surface ? Professional detailers spent too much time to correct paint surface imperfections caused by a number of different factors. So today I provide for you the most common imperfections and after read all of them carefully, you are able to identify what has occurred and won’t spend too much time more to surmount the imperfection. Improper paint of the car: the basic layer (color coat) is too thick and / or classes obviously too thick; the car was been re-painted but the prior before has some cracks paint in it; the underlying color coat was not allowed to dry appropriately; the Paint was mixed incorrectly. The paint was been influenced too much by rain, sunlight (primarily UV radiation), extreme temperature environments, industrial fallout, etc. To repair this type of paint you’ll probably need to have the car painted again. You certainly polished car, using glaze (filler), and Sealants (as opposed to a wax) to create a very reflective surface, and you’ll be able to hide most of these imperfections. Alternatively, you can slow the progression of the imperfections with a better sealant – if not protected, the clear layer will simply fail. In addition, to get rid of them completely out of the realm of Detailer’s possibilities . How to remove Water spots ? Water spots are caused by mineral etched into the clear coat … this happens when water is allowed to dry on the paint surface. Sometimes water spots appear as white spots with a grainy texture, and other times they appear small circle etched clearly in class. Etching of the clear coat by a water spot. Eliminate water spots can by tricky. Some times they will simply be washed with high-quality car wash shampoo as Meguiar’s G7164 Gold Class. Other times, you’ll have to use a lightly polish. Some detailers have had great success with vinegar – just be careful not to get it on all paint surfaces. Once the water spots has been removed, however, you will surely be left with some degree of corrective paint (see image above). Depending on the depth of etch, it can come out when you polish the paint. In another cases, the etch will be too deep, and can’t be possible to clean . Compounding and / or wet sanding is a possibility, but remember that you do not want to remove too much of the clear coat otherwise you will sacrifice it. Preventing water spots are easily achieved by drying the surface of each and every vehicle when it gets wet. A few times, especially after a rain fall, this is impossible … However, it is important that the surface is washed immediately after a rain fall to remove the minerals from painted surfaces. Also, make sure that you do not wash the car in direct sunlight on a hot day … this will cause the water to evaporate too quickly thus leaving spots. If you live in an area where your water supply contains a lot of minerals, then you may want to invest in a water filter. Bird droppings on the surface of the paint can and will cause a lot of damage if not removed quickly and correctly – they are just plain annoying. I do not believe there is a product on the market that can protect you from bird dropping completely for more than a few minutes – they are simply just too acid. Bird drop etching can have a range from mild (A-B below) to heavy (C-D below). The easiest way to remove the bird droppings is with a microfiber towel and spray detailer quickly … it might be a good idea to fix this case for your car because they can access quickly. If you allow the the bird dropping to dry on the surface, you may have to use a microfiber towel soaked in a mixture of water and isopropyl alcohol with 50/50 percent. Simply place soaked towel on the spots you want to remove and let it sit for a few minutes … never try to ‘wipe’ away the spot, maybe you will cause surface marring … trying to ‘blot’ the surface to remove the spot. Bird droppings will etch your paint and cracking of the clear coat over time as the photos (CD) show. in another cases, as the first images shows, the etching will be small and will come out with a lightly polished as Scratch-X (careful with Scratch-X … it has abrasives in it). If left for a long time, however , the clear coat will begin to crack and there is no easy fix – the car will have to be re-painted. Random scratches on painted surfaces of the car is very popular. Depend on the depth of the scratch, it can go out through the polished surface. If too deep, there is nothing you can do but actually protects it with a good wax Check to know how to wax a car or sealant to prevent further damage. In the pictures below, the scratches are simply too deep to be repaired. Random Isolated Deep Scrathes (RIDS) can often be repaired through proper polishing. Make sure this fits by entering your model number. ; Includes 1/2-ounce bottle of OEM Matched Paint, plus 1-ounce of SealAct Blending Solution. ; Includes 1 Ultra Paint Brush. ; Includes 1 Wiping Blending Cloth. ; Includes 1 Nitrile Glove, plus Instruction Sheet and Application Tips. 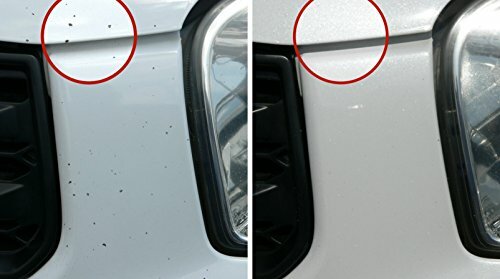 This type of paint surface defects caused by improper washing technique Check to know how to wash a car and will easily come out through proper polishing of the painted surface. This is one of the most popular imperfections on the surface . Mild swirls caused by improper washing techniques. Marring and swirling are two different things from an ‘appearance’ point of view. Marring usually consists of scratches in the paint straight lines that are very close together and shallow. Marring can be eliminated through proper polishing of the painted surfaces. Buffer trails happened by the way of a rotary polisher and usually have a ‘hologramming’ effect to paint. Buffer trails often seen on the dark-colored car. This type of surface defect can be eliminated through proper polishing of the painted surface. Example of a car with severe clearcoat failure. Exterior Car Wash Detailing – Prime car care tips for exterior management ! A conclusive buying guide for car detailing products !